The first grand prize is being sponsored by Sunwing and Velas Resorts, and includes two round trip air seats onboard Sunwing Airlines, plus a seven-night all-inclusive stay for two people at Velas Vallarta. Return transfers are also included. A second grand prize will be sponsored by AMResorts and WestJet. It includes two round trips tickets to Puerto Vallarta and seven nights of luxury accommodations at the all-inclusive Reflect Krystal Grand Nuevo Vallarta. At the tournament, a food and Mezcal tasting will be offered by the state of Puebla, which is bringing handmade artisanal Mezcal accompanied by a local chef. To help include players of all skill levels, the tournament format will be a Texas Scramble, in which all golfers in a foursome play the best ball. Non-golfers have the opportunity to join the event for a cocktail reception and dinner. Other great prizes will include additional trips to Mexico with airfare and hotels, as well as more accommodation prizes, plus more. A 2018 Lexus NX300 can be won by the golfer who hits a hole in one. More info at: rick-tlc@shaw.ca . 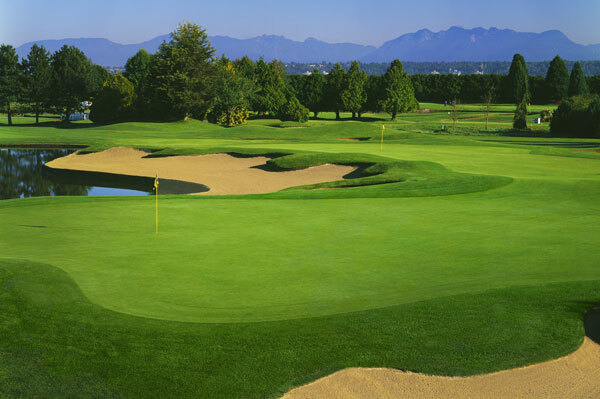 The Mayfair Lakes Golf Course, venue for the Mexico Golf Classic in B.C.